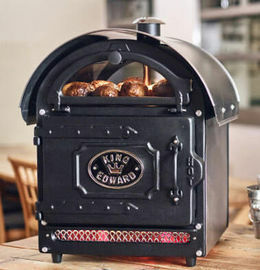 Jacket Potatoes were once mostly only sold from large gas or solid fuel mobile ovens situated on high streets or markets in a relatively small number of towns. Our Managing Director Paul Wrighton saw how popular, easy to prepare and profitable jacket potatoes are and felt that more businesses could benefit by selling them. 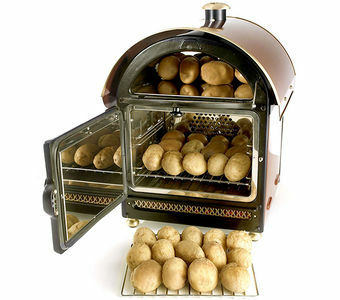 His idea was to recreate the feel of a traditional style potato baker but to have it run off a 13 amp socket and take up very little space on a counter top, this way the visual appeal of the potato baker could be available to 1000’s of businesses regardless of location. 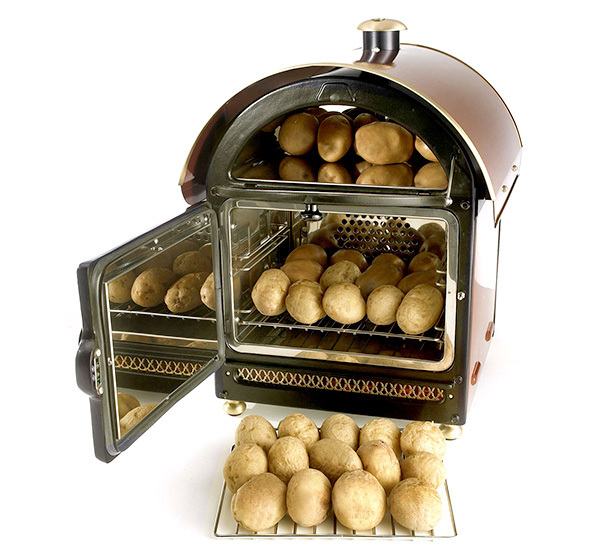 His design skills and eye for detail resulted in the perfect potato baker, it not only bakes but also displays ready to serve jacket potatoes and its eye-catching design can now be seen on counters and kitchens all over the World. Although externally our bakers have retained their traditional style we wanted them to deliver modern cooking performance and efficiency. 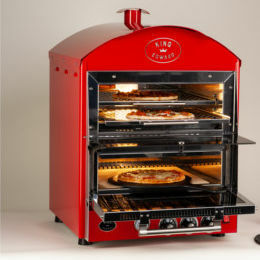 We developed our own convection oven which means our customers can use our bakers to cook any product – making them a canny investment when space is at a premium and versatility is required. 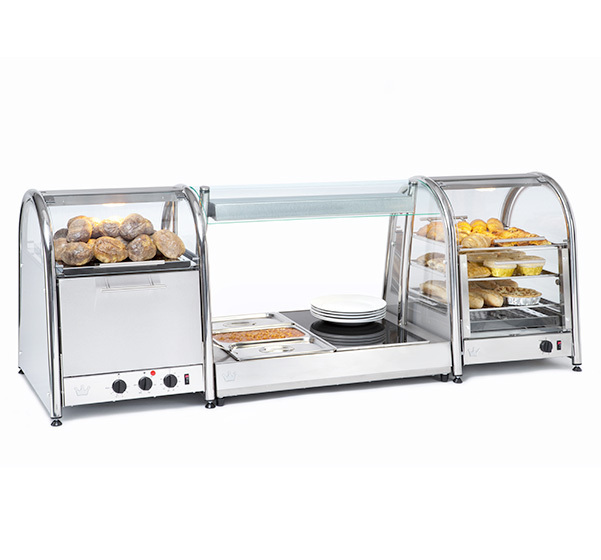 Mindful of our customers’ needs to offer hot and cold toppings for their jacket potatoes we also manufacture a range of complimentary servery equipment and our Vista ovens are very popular in locations where a more contemporary design is appreciated. 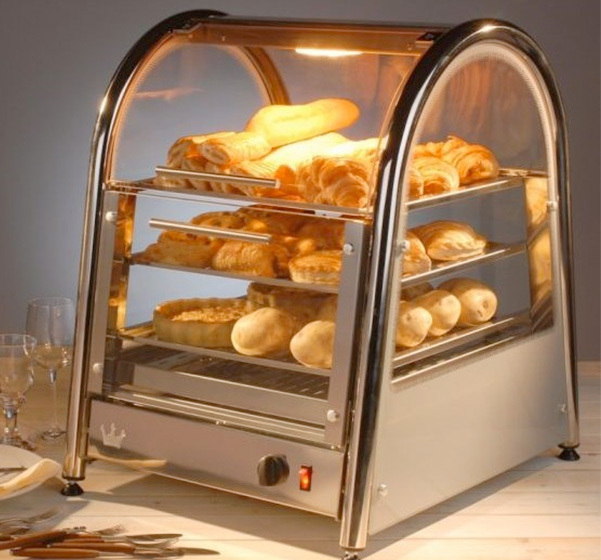 From our base in Herefordshire we continue to design and develop catering and servery solutions and have the distinction of knowing our entire range is 100% designed and made by us here in the UK. Our small team of dedicated staff are passionate about the King Edward brand and take personal responsibility for product excellence and outstanding customer service. We are proud that King Edward products continue to be specified by many household names and it is our intention to carry on innovating and producing catering equipment that will grace the countertops of businesses and catering outlets whatever their size and location.